Donnel Stern, Ph.D., is Training and Supervising Analyst, William Alanson White Institute, and Faculty, NYU Postdoctoral Program in Psychotherapy and Psychoanalysis. 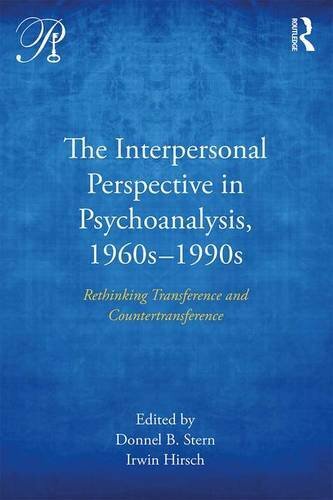 He is on the editorial boards of Psychoanalytic Dialogues, Psychoanalytic Inquiry and Psychoanalytic Psychology, and is the former editor of Contemporary Psychoanalysis. Irwin Hirsch is a practicing psychoanalyst and teacher of psychoanalysis in New York City. He is the author of over 75 journal articles and book chapters and the Goethe Award-winning book, Coasting in the Countertransference: Conflicts of Self-Interest between Analyst and Patient (2008).